Well, 3M made that product anyway. 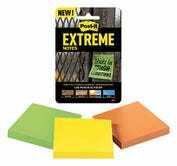 Post-it Extremes are the Post-it Notes you know and love, but made of a special water-resistant paper with stronger adhesive that can adhere to rough surfaces like wood and brick, stand up to rain, and survive extreme temperatures (though not fire, as I learned during testing). 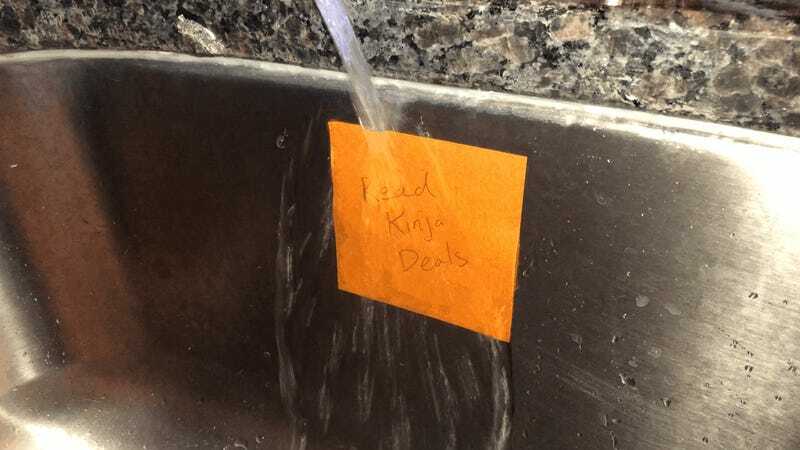 I scribbled on a note and held it under the sink for about 30 seconds, and the water shook right off, leaving the ink totally intact, with no smears. Obviously, they’re overkill for basic use around an office, but at only $5 for a pack of 135, there’s no reason not to keep them in your tool box for use during outdoor or DIY projects.